There is a lot on the plate of international financial centres (IFCs) today, mostly brought about by the winds of change from numerous global multilateral initiatives. IFCs around the world will need to reposition their value propositions to remain capable of operating successfully, while creating a level of acceptability from a reputational angle. Moreover, the various international country groupings and standard setting organisations/bodies have made continuous demands to enhance transparency and sound prudential requirements for a more equitable and fairer allocation of economic wealth, whilst promoting international financial stability. These changes in operating models were precipitated by unprecedented global events, particularly after the Global Financial Crisis that erupted nearly a decade ago. The fact remains that most IFCs aim to provide a convenient and business-friendly location for international trade and investments, which often facilitate centres to innovate, addressing the gaps between national and domestic laws for international cross-border transactions. However, this appealing feature of IFCs is often misunderstood as a vulnerability and an avenue for regulatory arbitraging that affects the global economy and financial system, making these centres easy targets for headline grabbing accusatory claims. It is often claimed that IFCs are havens for structures that minimise tax exposures. Such claims stemmed largely from the lack of information about IFCs and aggravated by news of tax planning strategies of some multinational corporations. 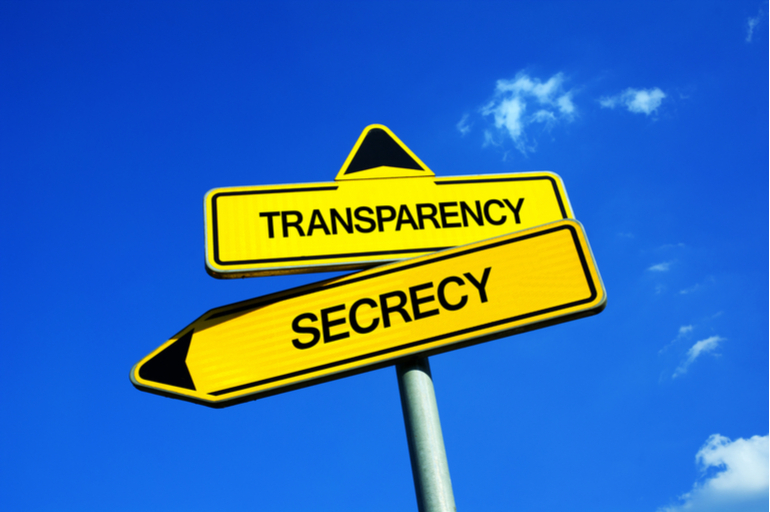 There is an overarching common belief that IFCs offer financial secrecy, through the purported absence of proper due diligence in accepting new investors. While this could well be true in the past, this perception is misplaced today as studies and assessments have affirmed that most IFCs have conformed to international standards by dismantling banking secrecy and introducing beneficial ownership transparency mechanisms. In addition to transparency, another key thrust in securing the future of IFCs is substance creation, as pure brass-plating and shell structure concepts become no longer internationally acceptable. Indeed, some commentators have remarked that never before has so much public attention been focused on wholesale business going through IFCs. The continuing liberalisation of intra-Asian trade and services as well as enhanced financial sophistication fosters demand for complex financial services and facilitation of cross-border flows and investments. It is against this backdrop that the development of regional financial centres enhances a fairer and more transparent market mechanism, creating a lower cost of capital as well as an improved allocation of capital, supporting the further growth of Asia. The question is: How does an Asian IFC benefit from this newfound economic connectivity in an ever challenging and critical operating environment? IFCs in Asia Pacific, such as Labuan International Business Financial Centre (Labuan IBFC), are critical to advancing economic integration of the region as it provides a neutral platform for even greater regionalisation while capturing of a larger portion of the fund flows, while ensuring all the new norms of transparency and substance are enshrined. Ironically, in this day and age of globalisation in a borderless world, it has now become imperative to once again consider the geographical merits, accessibility and the level of real economy of any chosen IFC. No longer can the mantra “the further the better” ring true. In fact, many Asian IFCs, including Labuan IBFC are already enjoying continued growth under this new reality. Without a doubt to answer the unrelenting calls for transparency and substance, jurisdictions are repositioning, rethinking and re-evaluating their value propositions to enable them to stay relevant. Having the necessary laws and regulations to be able to oversee, supervise and share information internationally, with evidence of substantive activities is a given. In addition IFCs would need to showcase their relevancy by identifying their long term niche, having the skilled talent to supply the needs of the industry, increasing visibility whilst at all times preserving their reputation and winning the public relations. IFCs would also have to show their willingness to cooperate internationally and articulate their complementary nature vis-a-vis domestic centres even more effectively. So, it is definitely not a coincidence that centres have started measuring their value to the global economy or regional businesses via white papers and research reports. Successfully articulating the value an IFC will be essential cornerstone to their acceptability, ironically less so to their utility, as there has always been a need for a point of intermediation in global trade, investments and business management, regardless whether they are offshore, mid shore or even onshore. Indeed, it is a popular misconception that IFCs only exist on islands strewn across the globe. In fact, some IFCs are landlocked countries. Labuan IBFC has always been somewhat of an enigma to those who are not familiar with it. It is part of Malaysia, one of the largest trading nations in the world, with a healthy Gross Domestic Product, essentially a booming East Asian economy. Labuan IBFC is located on an island and the range of unique and bespoke structures on offer are cost efficient and it is regulated by a one-stop regulator, Labuan Financial Services Authority (Labuan FSA). So it ‘looks’ traditionally offshore, but it is not. Welcome to the midshore concept, being borne from the natural juxtaposition Labuan IBFC finds itself in. The centre has been strategically designed to meet the demands of a future IFC, where cost efficiency and innovation are married with transparency, economic substance as well as stringent provisions on money laundering and terrorism financing. The regulator, Labuan FSA, is a member of several international standard setting bodies; including the Asia/Pacific Group on Money Laundering (APG), providing unequivocal evidence of the jurisdiction’s commitment in countering any money laundering and terrorism financing activities on the jurisdiction. It is worth noting that since its establishment 27 years ago, Labuan IBFC never allowed for cash transactions and bearer shares. You could say it was ahead of its time! And as Labuan IBFC grows from strength to strength on the back of the unrelenting growth of the burgeoning Asian economies, surely the true challenge it faces is to ensure its competitive edge, so carefully crafted decades ago, continues to reign in today’s new normal operating landscape.